Becoming the 29th member of NATO will ensure Montenegro’s long-term stability, sovereignty and security, NATO Deputy Secretary General Ambassador Alexander Vershbow said during a visit to Montenegro on Friday (6 May). The North Atlantic Council has agreed ‎to accept the request that an official Israeli Mission be established at NATO headquarters. The Ambassador of Israel to the EU will therefore be the Head of the Mission of Israel to NATO. 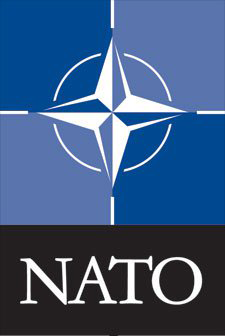 In July 2009, with a view to releasing a new Strategic Concept for the North Atlantic Treaty Organization (NATO) at the Alliance's Summit to be held in Portugal in late 2010,the Secretary General of NATO tasked a Group of Experts, headed by former US Secretary of State Madeleine Albright,with addressing the issue and proposing recommendations by the spring of 2010. In the fall of 2009 members of the Ottawa-based Conference of Defence Associations Institute (CDA Institute) came together to articulate a way ahead for NATO.The aim was to provide a public domain contribution to the work of the Group of Experts that would outline, from a Canadian perspective, the most salient challenges and opportunities facing the Alliance. In early 2010 the Canadian Defence and Foreign Affairs Institute (CDFAI) of Calgary acknowledged the importance of the work the CDA Institute was undertaking,recognized its links with its own priorities and therefore chose to formally join the undertaking as a partner by offering the help of several subject matter experts. The group of contributors to this project is a mélange of military, diplomatic and policy practitioners and academics.The range and weight of their experience—a former Minister of National Defence,three former Chiefs of the Defence Staff and a former Chairman of the Military Committee of NATO, a former Ambassador to NATO, a Clerk of the Privy Council,NATO field commanders,strategists and staff officers, former Ambassadors, public servants and politicians, academic experts, among others—deliver what we hope to be a paper that offers a vision for NATO's future that is grounded in the art of the possible. George Petrolekas, for his tireless dedication and patience in achieving compromise between the contributors,drafting key text and for the cover design and layout. Michel Maisonneuve,who hosted a most productive workshop at the Royal Military College SaintJean. John Anderson, Ray Henault and Bernd Goetze, for sharing their knowledge of the inner workings of the Alliance. Brian MacDonald, Brett Boudreau, Ian Hope and Stanley Sloan, for their attention to detail and wise counsel. Richard Evraire,Natalie Ratcliffe and Arnav Manchanda for proofreading and copyediting. To Laurentin Lévesque, who undertook translations and retranslations with good humour and professionalism. The warm welcome was extended beyond a sophisticated dinner to a casino venue set especially for the night with equipment provided by that company. The esteemed guests enjoyed the chance for a free casino play while discussing the latest trends in the casino industry and their consequences. This is, in conclusion, a remarkable document. A Canadian perspective of the world all NATO members inhabit, informed by some of the most prominent minds Canada has to offer in defence, security and foreign policy. It is our fervent hope that this paper contributes to a betterment of the Alliance.